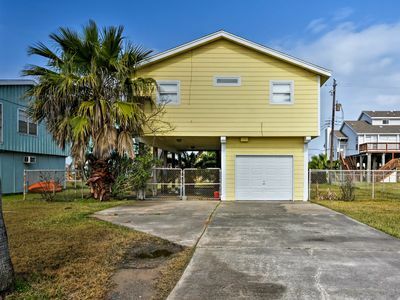 Beachfront Galveston Home w/Panoramic Ocean Views! 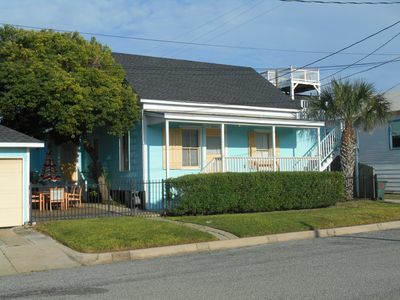 Have the ultimate coastal getaway when you book this magnificent Sea Isle vacation rental house! 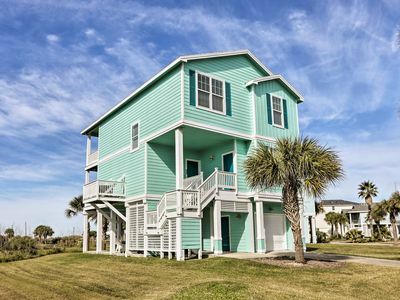 Boasting 3-bedrooms, 2-bathrooms, and enough room to comfortably sleep groups of up to 11 travelers, this home is ideal for families, reunions, and romantic weekends. 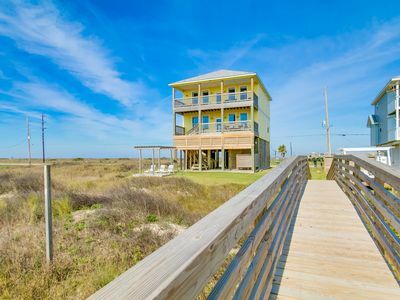 Spend your days relaxing on the private beach or fishing off the community pier and your evenings back at home sipping a cocktail on the porch that overlooks the beautiful ocean! 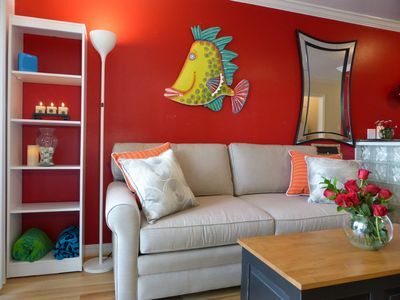 Upon arrival, you'll immediately fall in love with this outstanding vacation rental home. 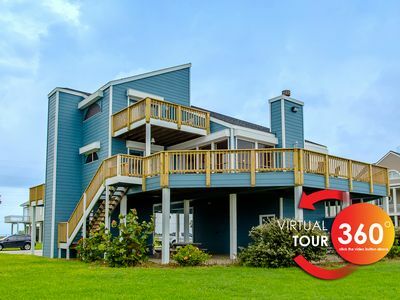 Featuring central heating, air-conditioning and a 46-foot wide private porch with an unobstructed panoramic view of the ocean, this home is simply spectacular! 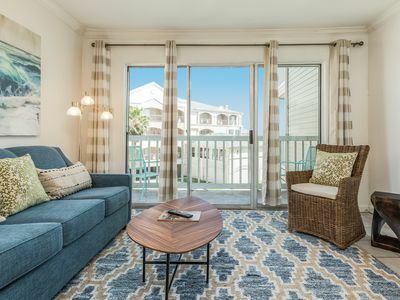 Inside, the home is outfitted with warm, inviting furnishings and plenty of space for you and your entire travel group to spread out and relax. Look forward to unwinding on the living room's brand new large sleeper sofa, where you can read a good book, watch the news or admire unbelievable ocean views. 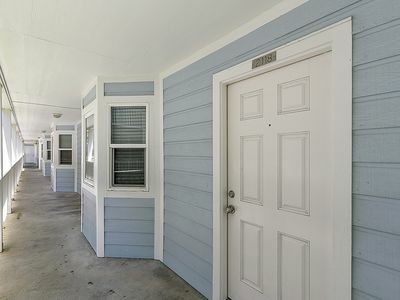 All the necessary comforts of home are provided here, including air conditioning, large capacity washer and dryer, dishwasher, coffee maker, ample closet space, wireless internet access and flat-screen TVs in every bedroom. Prepare delicious home-cooked meals in the fully equipped kitchen, stocked with everything you need to create the culinary masterpiece of your dreams. After devouring your delicious dish at the gorgeous wood dining room table, play board games against your loved ones or step out onto the deck to witness the sun slowly fade into the distance. 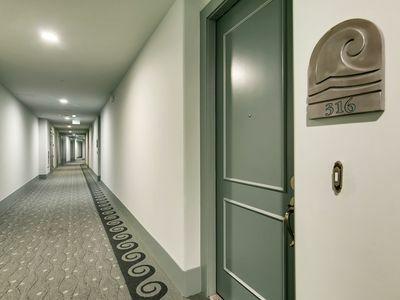 At night, the head of the household will love retreating the master bedroom, equipped with a cozy pillow-top king-sized bed and a 32-inch LCD TV. The children in your group will sleep well in the twin-over-twin bunk beds in the Kids Room! Throughout your stay, you'll be able to enjoy access to the outstanding community amenities that Sea Isle offers with an additional fee. Your kids will never want to leave once they see the amazing Milton Pines Park or sparkling community pool. Use the convenient boat ramp to begin your fun fishing expeditions, or use the community fishing pier for free to reel in your catch of the day. 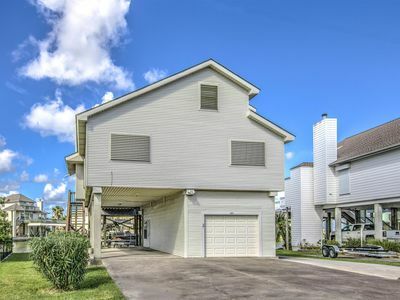 While you may consider spending the duration of your vacation in the immense comfort of this home, you won't have to travel far to visit the area's most notable attractions with them only being 15 minutes away! Make sure to visit Schlitterbahn Waterpark and its exhilarating water rides, which have made the park one of the most popular attractions in the state. 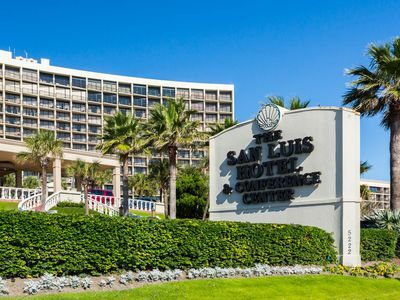 To learn more about our fascinating planet, head to the infamous Moody Gardens and tour the 1.5 million gallon aquarium, or exotic rainforest pyramid. 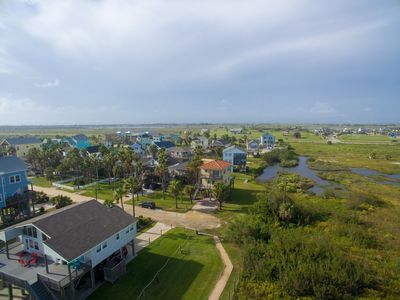 Whether you're searching for a thrilling family adventure, or a relaxing beach retreat with loved ones - book this Galveston vacation rental house for an experience you'll never forget! 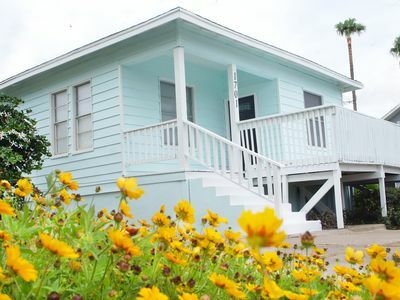 - Unbeatable location within 15 minutes of the best attractions Galveston has to offer! 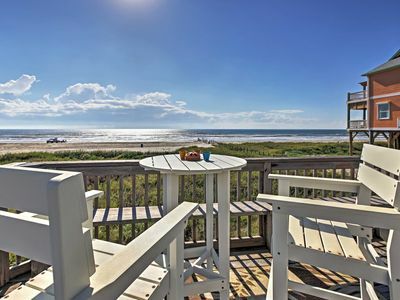 Enjoy access to a breathtaking private beach, nearby fishing pier, and marvelous community amenities offered by Sea Isle for an additional fee! 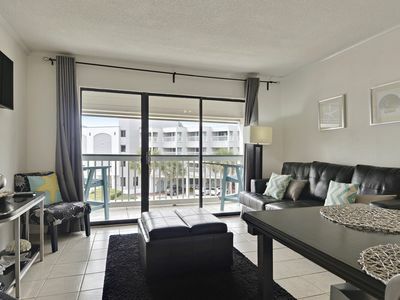 Sea Loft- BeachFront 3/2 PRICE REDUCED- $120/daily in FREE activities! 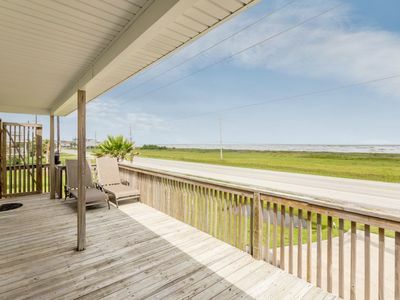 LARGE BEACHFRONT home with breathtaking views of the Gulf! Ask about the FREEBIES including a ticket for Schlitterbahn Waterpark per day. Concierge services available. 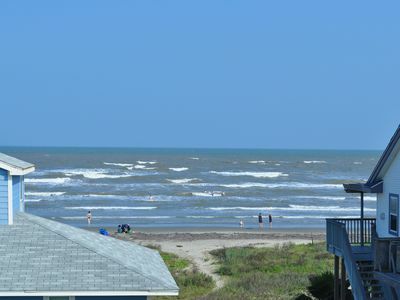 Enjoy The Gulf View From The Rooftop Deck At Sandy Feet Cottage!! Sea Breeze !! 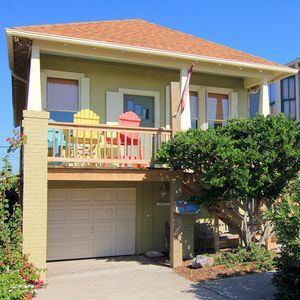 2nd Row Beach House, Great Ocean View, With Outside Jacuzzi. 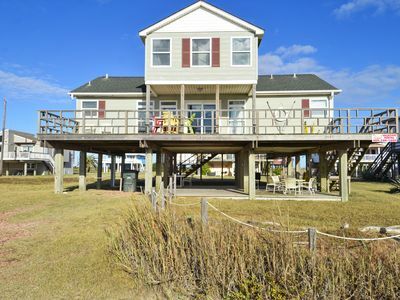 Jamaica Beach Home w/Deck - Walk to Shore & Bay! 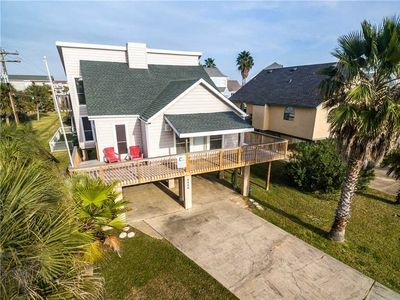 Galveston Resort Home-Deck & Stunning Beach Views! 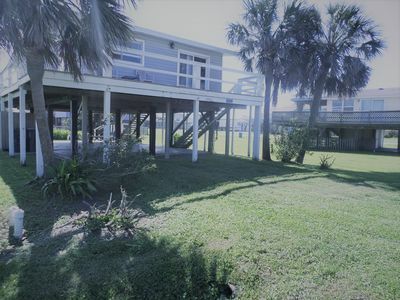 Beach house with a beach front view and dog friendly limited to 25 lbs..